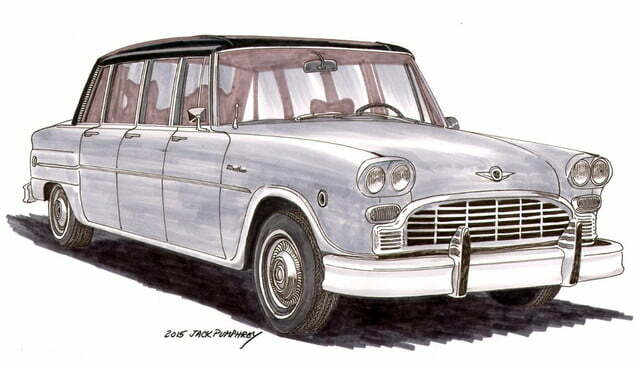 Checker Motor Cars is gearing up to assemble its first car in 33 years. While the company is famous all around the world for building the yellow cabs that roamed the streets of the Big Apple and other U.S. cities for decades, the first Checker of the 21st century won’t wear a taxi sign on the roof, and it will most likely not be yellow. “A lot of auto manufacturers already offer four-door taxis, so no, we’re not trying to bring back the taxi. Instead, we want to bring back nostalgia in a usable form,” explained Steve Contarino, the owner of Massachusetts-based Checker Motor Cars, in an interview with Hemmings Motor News. Checker will return to life with two new models. Called A888, the first one will take the form of a six-door limousine that will be similar in concept to the Aerobus, a stretched variant of the Marathon cab that was sold in the 1960s and the 1970s. With space for 12 passengers spread out over four rows of seats, the A888 will be largely aimed at hotels and fleet operators. 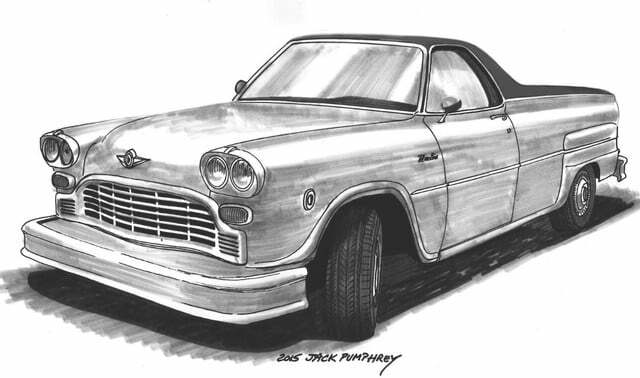 Oddly enough, Checker’s second car will be an El Camino-like truck dubbed Sport Pick-up Crossover. Unlike the A888, it will cater to motorists who need a practical and rugged car but who don’t want to drive something as big as a regular pickup truck. The Sport Pick-up Crossover will essentially be in a class of its own when it goes on sale. Although both models will boast a retro-styled design, they’ll be made with new parts inside and out. They’ll ride on a newly designed frame built by a company in Salt Lake City, Utah, and they’ll be fitted with modern drivetrains. Technical details are still being finalized, but Checker expects the list of available engines will include a large-displacement V8 and a Duramax four-cylinder turbodiesel borrowed from the General Motors parts bin. Four-wheel disc brakes and rack-and-pinion steering will come standard, and all-wheel drive might be available at an extra cost. For those who can’t afford a brand new Checker, most of the upgraded parts — including the frame — will be designed to bolt right on to an older model with no major modifications. Production is tentatively scheduled to kick off in 2018, but the fate of the modern-day Checker largely depends on whether a bill called H.R. 2675 is approved by congress. Also known as the Low Volume Vehicle Manufacturers Act of 2015, the bill aims to exempt cars built by low-volume manufacturers from federal regulations, therefore allowing small companies to offer complete, turnkey vehicles if the engine used comes from a fully compliant model. Right now, most niche automakers sell cars without a drivetrain in order to get around federal regulations. The first Checker prototypes will be built next year, and testing will commence shortly after. How much a new Checker will cost hasn’t been revealed yet, but the company is only planning on building approximately 400 cars a year.